Historical novel blends fact and fiction during a time of great hope and pervasive racism in the entertainment industry. 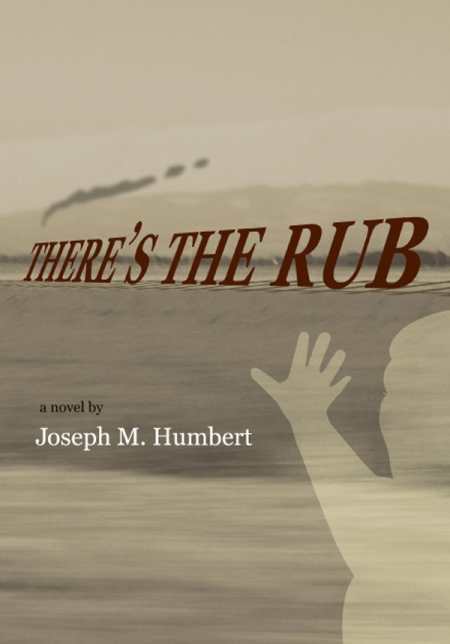 There’s the Rub is a sad yet hopeful story of one African-American family living at the turn of the twentieth century. Jealousy, stubbornness, and a misunderstanding tear the family apart when the children are very small and leave the older son, Jimmy, with a lifetime of questions. Reed Johnson left his parents in Memphis when he was just seventeen years old to become a Vaudeville dancer, traveling up and down the East Coast with his partner, Edgar Perry. Both Edgar and Reed fall in love with the same girl, Miriam. When she decides to marry Reed, Edgar swears revenge. Several years and two sons later, Miriam is no longer happy with her family’s life of travel and wants to settle down. Jimmy, Miriam and Reed’s five-year-old son, overhears his parents fighting one night, and his mother storms out. Years later, Jimmy decides to leave Vaudeville and sets out on his own, ultimately heading to California, hoping for new opportunities and maybe even the answers to questions about his mother that have haunted him. There’s the Rub is an interesting story about life in the entertainment industry when motion pictures were new and racism was pervasive. Through the story of the Johnson family, author Joseph M. Humbert aptly depicts a time that was both exciting and hopeful, but also relentlessly unjust. Readers will appreciate the skillful way the author has blended his fictional characters into a backdrop of historical fact, introducing a cast of real-life figures, such as film director D. W. Griffith, actor Noble Johnson, and actress Madame Sul-te-wan. Humbert has a tendency to tell his story without showing the reader the characters’ actions. For instance, he writes, “Although they performed that night, it was the beginning of the end. Backstage, at the end of the show, Reed broke the news to Edgar about the wedding plans. Not only that, he was quitting the act with Edgar and forming a new act with Miriam. With fire in his eye, Edgar stormed out of the theater. They would not perform together again.” Readers would have more opportunities to connect emotionally with the characters if the author allowed his audience to witness important events rather than be told about them after the fact. Those interested in American history, racism, and the early days of Hollywood will find something interesting to take away from Humbert’s novel.